Bob’s delivery is kindly yet authoritative, he’s local, cares about the community and it’s palpable in every show. This edition took on a tone of warning and the statistics grabbed my attention and got me thinking about how this relates to aging in place. 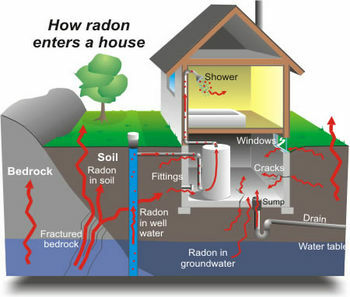 Aging-in-place professionals talk of home safety in terms of the built environment and support services, seldom do I hear any one mention radon. January is National Radon Action Month and this is as important as any universal design kitchen or 24/hr alert button worn around the neck.Get your home checked—period. Be wise, be diligent–get your home checked; I’m in favor of your aging in place for many years to come and I know The ol’ Handyman is too.